Since CEFISA (Centrales, Edificaciones, Fábricas e Iluminaciones S.A.) was established in 1963, it has maintained continuous technological advancement which today places it as a company recognised as being in the vanguard for technical solutions in its field of specialisation. Although the technology acquired and developed is of wide application, the principal fields of activity comprise the following sectors. CEFISA’s philosophy is that all good solutions should be simple solutions and to this end we maintain as far as possible that any complex technical problem is no more than the sum total of an accumulation of simple problems. To this end, in CEFISA we believe that previous functional analysis is fundamental to the proper development of any project. CEFISA employs Métrica 3 methodology, integrating this into quality assurance systems based on the ISO 9001:2000 standard. CEFISA’s purpose is to serve its clients and in this sense we are proud to continue working with the majority of those clients who assisted in the establishment of CEFISA. CEFISA has continued to collaborate with its clients as these have developed into large multinational companies. 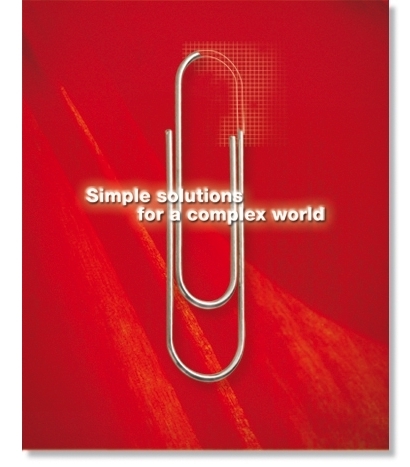 In Cefisa, we help you to find simple solutions for a complex world. Contact with us if you are looking for solutions in process automation, multi-system integration and supervision, as well as development in electric engineering, among other services.